Home › FAQ › Can You Take Online Courses When Enrolled in On-Campus Courses? Many students find themselves wondering if they can take online courses when enrolled in on-campus courses. They often think that colleges differentiate between students who take classes on campus and online students. The truth is that many schools view all students the same, which means that those who live on campus have the option of taking one or more classes online. There are a few things to consider before splitting courses between online and traditional learning methods. One thing students need to consider is when to take both online and offline courses. Many schools offer distance learning classes during the summer semester. This allows students to spend the summer at home and still further their education. Some students also find it helpful to take harder classes online rather than on campus. They can spend more time looking at learning materials online and focusing on their studies at home. Taking online classes is also helpful when the school only offers the course once a year and it fills up quickly. Those who want to know if they can take online courses when enrolled in on-campus courses may wonder what type of classes they can take. Many students use online classes as a way to complete their general education requirements faster. Nearly every college in the country requires that students take specific classes on history, social sciences, life sciences, math and other topics. Taking those classes online allows students to finish their requirements faster and move onto more advanced topics quicker. Students can also take fun classes they wouldn’t otherwise take and complete any required electives online too. Those who never took online classes before often wonder how it works. Many schools now use Blackboard or a similar online program that provides each registered used with an individualized password and user name. Students log in with that information and access their classes. They usually gain access to video lectures and reading materials uploaded by the professor. The professor will also list a syllabus that explains all assignments and the due dates for each assignment. 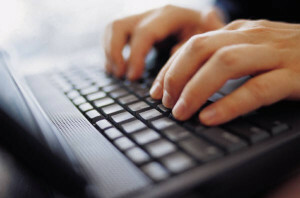 Some courses may require that students use an online forum. These classes ask that students must a response to a discussion question and respond to postings from other students. It’s important that students give some thought to the benefits of taking online courses when they take online courses when enrolled in on-campus courses. These classes often require more work, and students who need extra attention may not do well. The Association for Supervision and Curriculum Development points out that these courses can actually help students save money. Colleges often charge a set rate per credit hour, but students will not need to pay any additional fees and may not need textbooks for online classes. Online classes also provide students with more flexibility and the ability to work their classes in around the schedules they follow every day. Most of the top schools in the country now offer online courses. Though some students choose to take those courses while living in a different city or state, those classes are open to all students. Students can easily take online courses when enrolled in on-campus courses at their colleges.